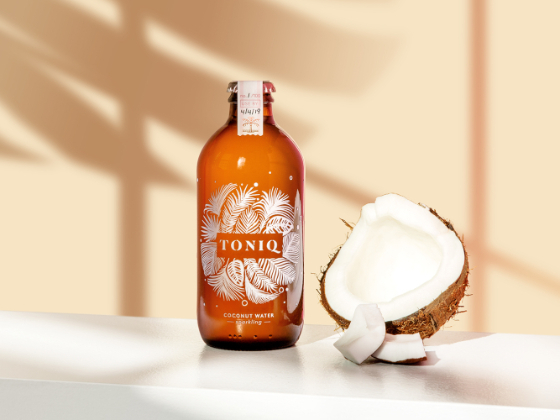 The striking and purposeful identity for new intelligent coconut water brand, Toniq, challenges an unadventurous sports drinks category to quench the thirst of a wellness-driven consumer. Health & fitness guru, Zana Morris, pioneered the concept of the intelligent gym - with The Clock and The Library. 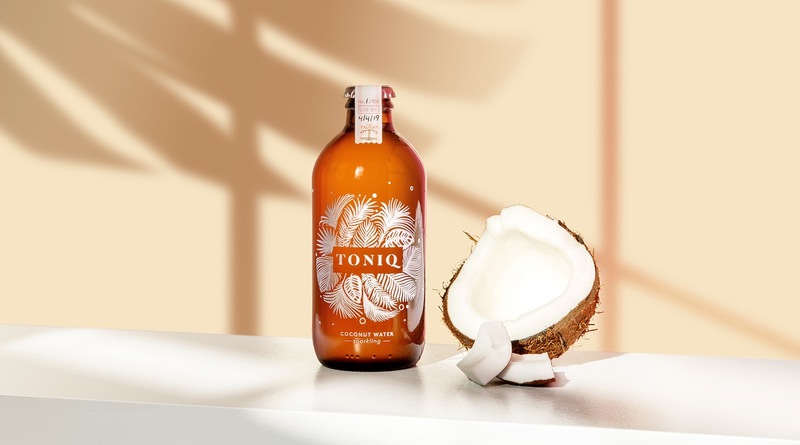 As part of an ongoing partnership, Pearlfisher created the brand identity and design for innovative sparkling, vitamin-packed, premium coconut water brand, Toniq. The ‘IQ’ of the name establishes the idea of the power to be found in this intelligent coconut water. 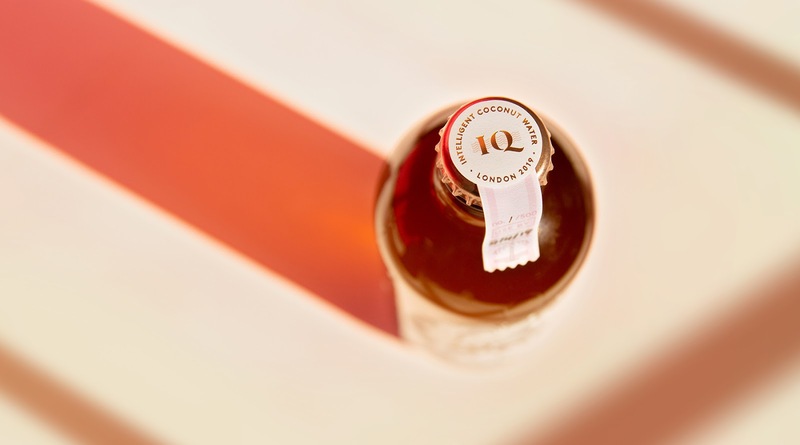 The unique, embossed feather identity symbolises the light, feathery feel of coconut and the lighter nature of the drink with the premium and sustainable brown bottle reflecting the shell of a coconut. 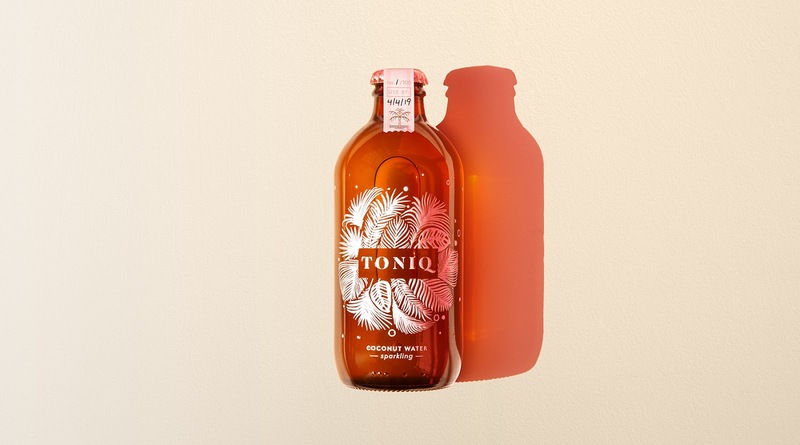 Toniq creates a new drinking experience led by the bottle in the hand to secure dynamic entry into the wellness space and across categories. The brown glass bottle naturally reflects the outer shell of a coconut, and cues a more crafted and premium feel, supported by our choice of a contemporary and stylish rose gold cap. 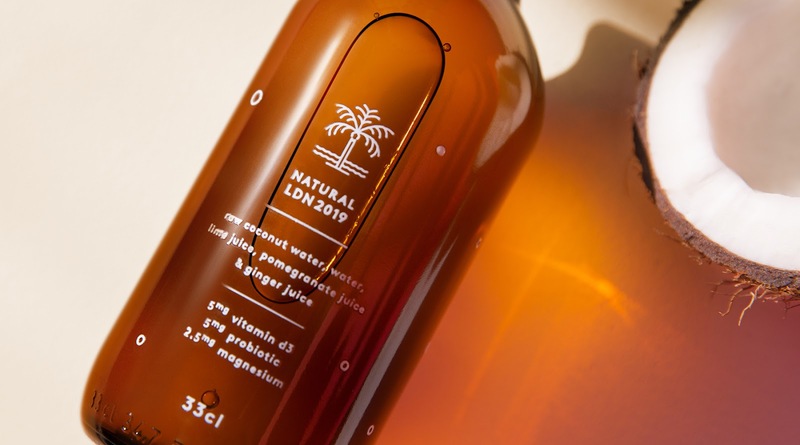 Functionally, brown glass is better at protecting the integrity of the drink inside, is fully recyclable and, with this bottle, members have the option of returning it to the stockist for re-use – all important considerations for today’s discerning audience.